This Saturday, August 5th, is the second special Virginia-bred day of racing at Laurel Park this year! A four-pack of $75,000 stakes will make their debut — the William M. Backer, Meadow Stable, Hansel and Camptown Stakes. Nominations closed this past Thursday with 20, 17, 27 and 21 horses respectively in the quartet. 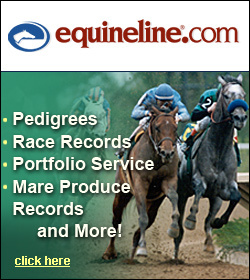 A pair of $30,000 one mile maiden events will also be featured — one for males and one for fillies/mares. The following appeared in The Paulick Report July 30th. 2016 Champion Sprinter Drefong was co-bred Frederick Allor, Michael Barnett and Anthony Warrender, who is from Middleburg, Virginia. This story previews the July 29th Bing Crosby Stakes at Del Mar and appeared on bloodhorse.com. If not for his gray stablemate’s late-season ascension, Baoma Corporation’s Drefong would have been the brightest rising star of 2016. Halfway through 2017, Virginia handle numbers on horse racing from the four Advance Deposit Wagering (ADW) companies and both new Off Track Betting (OTB) Centers continue to trek impressively. Since the Virginia Racing Commission recently approved a new Certified Residency Program that is expected to contribute to the long term economic prosperity of Virginia agriculture and encourage preservation of Virginia farmland, it is now up to industry participants to take advantage of these new opportunities. Ben’s Cat, the 11-year-old gelding who won 26 stakes, helped catapult owner-breeder-trainer King Leatherbury into the Hall of Fame, and along the way captured the hearts of most of the racing world, was euthanized today because of complications that arose from July 6 colic surgery. His death was reported in the The Blood-Horse. 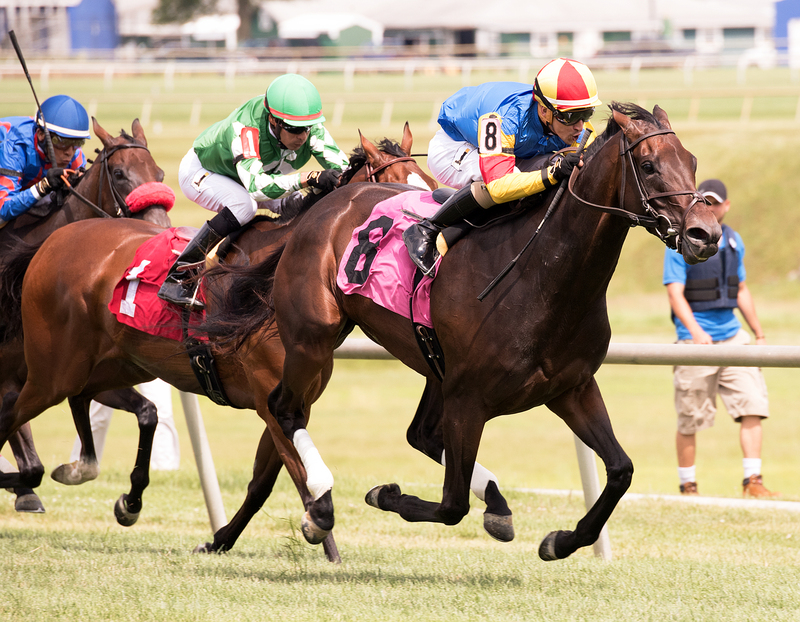 Congratulations to 3-year-old filly Weekend, who captured a $25,000 maiden special weight race exclusively for Virginia-bred fillies and mares Saturday July 15th at Laurel. The following appeared in Bloodhorse.com July 14th. It was written by Jeremy Balan. Multiple grade 1 winner Dortmund, who was retired from racing in April, is back in training at Los Alamitos Race Course, trainer Art Sherman said July 13. Best of luck to Virginia-bred Queen Caroline, whom will compete in Saturday’s $100,000 Indiana General Assembly Distaff Stakes, part of the Indiana Derby under card at Indiana Grand Racecourse. Queen Caroline won the Nellie Mae Cox Stales for the second straight year at Laurel June 24th. Photo by Jim McCue.